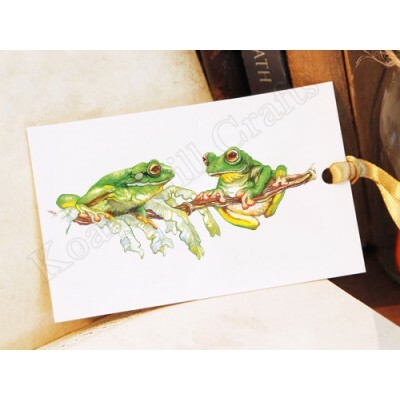 You can't resist these Green Tree Frog bookmarks. This image is also available in greeting cards, gift cards, notecards and prints. The Whimsies Series features Australian wildlife described as "whimsical" or "quirky". Format Artwork on the front, back has a brief note about the artist.